Home » Blog » Are Labels Even Necessary? Clothing labels can be a hassle to design and attach, and they definitely raise the price of manufacturing your clothing line or stocking your small store. Many people end up wondering if they are even necessary. The answer to this is an emphatic yes! There are many more pros to having custom clothing labels on your clothes than there are cons and, when designed well, they can be used for more than just labeling, as they make useful branding and marketing tools. Branding: Branding labels are the labels you commonly find inside the neck or on the sleeve with a company logo and/or name. These labels are vital for helping to establish your brand and making sure that customers associate your garments with your company. Such branding also helps establish your company’s tone, attitude and style. Care: Care labels are required by law, and they are usually attached along a seam inside the garment. There are rules and regulations about what specific information must be included, but it generally includes proper care for the fabric and the garment, to ensure a normal amount of use. 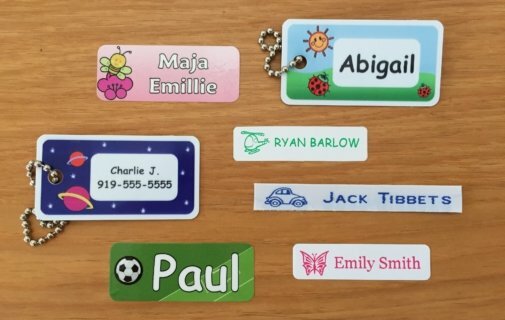 Inventory and Sales: Hangtags with barcodes can be vital for keeping track of your current inventory and the sales you have made. Your computer software system gathers all of this information when you check people out. Without this system, keeping track of your inventory is nearly impossible.